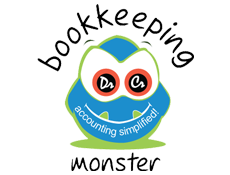 Bookkeeping Monster is an Initiative taken by like minded finance professionals’ way back in 2001 to come up with a band of services for the benefit of all associated to commerce and finance. In an attempt to do so, we successfully ventured out to utilize and explore our skills and expertise in assisting business setups with quality accounting, auditing and financial reporting / planning services to enable organisations concentrate more on the core business activities essential for the growth of their businesses. To put this into shape we initiated by launching an accounting firm in India registered with “The Institute of Chartered Accountants of India” in 2001 and started providing book keeping, accounting, auditing and taxation related assistance to individuals and small / medium business setups in India. Eventually, as we gathered experience and expertise in handling accounts and finance function of business enterprises within India we felt the need to utilize this experience and skill set more intensely by adding range of services that can assist business houses across the globe to outsource their financial business process(s) to Bookkeeping Monster. It was this time in 2004 when we expanded and started performing book keeping, accounting and financial planning / analysis related jobs from across the world. Today, we are handling the entire finance & accounting function of many of our clients in United States (US), United Kingdom (UK), Australia (AU), Europe, Singapore and India. We aim to emerge out as a one stop solution to meet end to end requirements of the accounting & finance process of a growing business set up from across the globe. 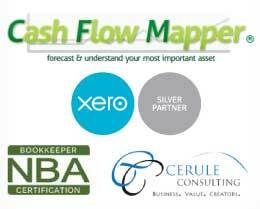 With this strategy in mind we have tried to hire and retain the best required talent pool with capabilities to perform comprehensive set of activities relating to – book keeping, accounting, transaction processing, taxation, payroll management, financial planning, budgeting and other management consultancy related job concerning the finance function of the organisation. It has been a great learning experience for us all throughout and today we are among the favourites among many of our clients globally. We look ahead to be a part of your SUCCESS STORY! and do our bit of the job! Outsource Bookkeeping to India of your business today – CALL 1-866-855-9015(TOLL FREE) or Mail: info@bookkeepingmonster.com – we provide free initial consultations to startups and small medium businesses in United States, United Kingdom, Australia and India.